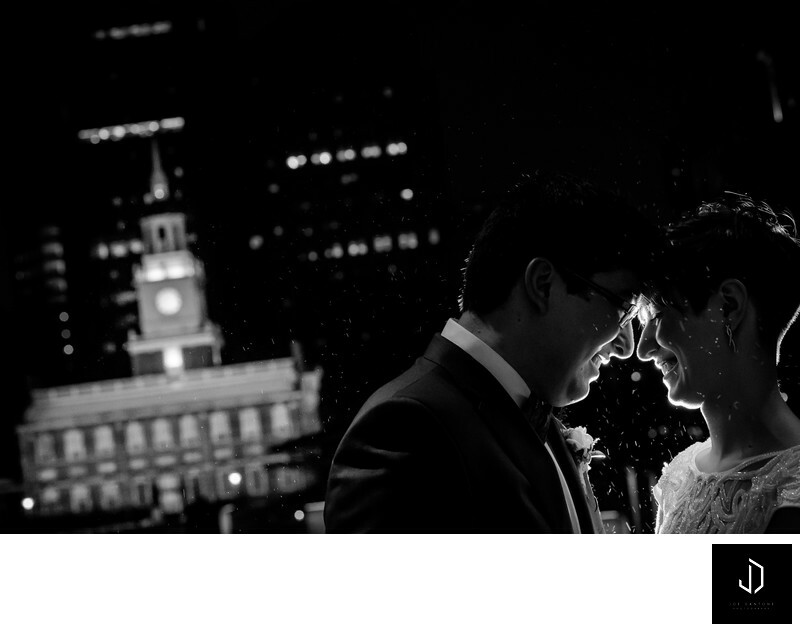 This photo of a Philadelphia bride and groom was taken at Liberty View wedding venue in Philadelphia. Independence Hall is the building featured in the background is in the Old City section on Philadelphia. Philadelphia Wedding Venues have some of the best views of the city. you have an amazing amount of unique wedding venue options to pick from. From Ballrooms, to breweries, and from, Arboretums, gardens, and Massive Hotels, to Museums. There is something in Philadelphia for everyone! In this image, Independence Hall is featured in the background. This image was photographers from the deck of Liberty View in Philadelphia. Location: 599 Market St, Philadelphia, PA 19106.